This firmware is specific to the Arnova 7 G2 (capacitive model only) and Arnova 7 G2i and should not be installed on other devices. Please follow the Rockchip Flashing tool procedure: that will explain how to download Rockchip flashing tool, unpack the archive, put your device into flashing mode and flash the custom firmware file that you have unpacked in Step 1. We recommend that you use Restore button rather than Upgrade button in Rockchip flasher to make sure your device gets properly erased. The following video demonstrates the 3 easy steps of the installation procedure to get Google Play Store and root to your Arnova 7 G2 in just a few minutes. 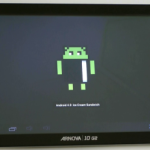 The video shows the procedure for the Arnova 9 G2, but it’s very similar for the 7 G2. Let us know how this firmware works for you in our Arnova 7 G2 forum. Thanks to exelletor and Oream member of our forum for the Arnova 7 G2i firmware dump. I downloaded the update.img file but, I can’t extract it because it says that the file is corrupted or is not valid. Plz. help to fix it. I downloaded the update.img file and when I extracted it, it shows that the zip file is corrupted or is not a valid zip file. Plz. help me how to fix it. I accidentally ‘bricked’ my 7 G2 and thought I’d need help from the excellent globula_neagra (as I did with my Arnova 8 G2 – successfully fixed, btw). However, I downloaded the updated firmware and followed the instructions to the letter. Hey presto I have a fully functioning tablet. tu dois d’abord avoir installé Rockchip batchtools sur ton PC. une fois installé ce pilote “rockusb”, windows reconnaitra l’Archos 7g2 par l’usb. Ton archos est alors réinitialisé, branche le sur ton pc en usb, (tu as préalablement lancé rockshipbatchtool), et là miracle l’archos est reconnu ! tu cliques sur “RESTORE” en bas du logiciel, (avec ton archos connecté en USB + prise d’alimentation), et ton archos va se réparer tout seul, (peu redémarrer plusieurs fois). hope the next firmware will have Bluetooth and LAN Ethernet using USB dongles and gps compatibility . Please check our forum where you may get some help. hi, i wanted to know i just bought a 7g2i but no google play for me, can i use this custome FW onto my device to enable google play? Yes it should work on the 7G2I as well. I wonder if this version can change language settings after installation. I’m from Spain and I have not seen anywhere else in this update. Translated with Google translator. I did it and it worked fine, but I do not have root access. I have the same problem with Angry birds as already reported here, but Stupid Zombies 2 work much better. Thanks. Having a look here http://crewrktablets.arctablet.com/?p=468 may help with your Angry Birds problem. I have no problem here, which download link are you trying to access ? http://www.arctablet.com/blog/downloads/firmware/Arnova7G2/kasty-ez_arn7g2-40-043-1_5G.zip/ that link and when i choose download it only post HELLO! It works no problem here. Please make sure you registered an account on our site and you are logged in. good job bro..its work well to my arnova 7 g2..
HOW IN HELL DID U GET IT TO WORK I BEEN TRYING TO CONNECT MY 32BIT TO MY ANDRIOD FOR LIKE 2 WEEKS NOW, HO DO I GET IT TO WORK. I FOLLOW EVERY PEACE OF INFROMATION ON THE SITE AND ITS NOT ALOWING ME TO DO SOOO, AS IN CONEECT??? Finally it works well to me. Thanks alot. The update is successful, all works very well. But when I start the angry birds then the screen turns black for 1 second, then exit the startup page. If anyone knows the solution, please write ……. Hi. Sorry but I’m new to this site. 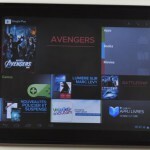 Looking to upgrade my g2 tablet for my kids so Angry birds is a must! Did anyone one come back to you with a solution? Except for the earlier discussed (but not answered) problem: everytime I start up a game (like: angry birds, where is my water,…) it automatically closes. How can I fix this? Is it a problem with android version, or rather the game itself? is there anyone who can help me with these problems? Admin? 1. Great ROM, very slick, modern etc etc. 2. Fantastic to have root access etc etc. 3. BUT why doesn’t angry birds work … ? Does anybody know if there is a way i can do this from a mac? or if the Rockchip software is available on macs? I just upgraded my arnova 7 g2 with the 4.0 firmware. My problem is the following: Although i can install every game not all of them is working. For example all the angry birds games r not working except angry birds season or like chrome or zenonia 4-5. I start the game. I see a black screen and then im back to the main android screen. Any can help me what should i do to make those apps work? Same problem here, black screen on angry birds games. The rest works, you think the game is faulty. Although I know angry birds plays on 4.0 ics. Well i’ve been running this fw on my g2 since September, and it’s rock solid, fast and felt like a new tablet after i installed it! I tried this over and over again using the Rockchip tool, but with no success. When I finally discovered the DeviceManager (at the bottom of one of these pages), I was able to unbrick my 7 G2 and get ICS to install successfully. Unfortunately, I didn’t like ICS to I used the same DeviceManager to restore Gingerbread. This article is for the 7G2, check our forum for the 7c G2 guides. This looks great. I’m planning to upgrade my daughter’s 7 G2. I am curious about one thing though. I understand that there is a simpler way to upgrade the firmware where you just copy the image to the device using the regular USB and then shut down and restart the device. So, why do you not mention it and send people directly to the Rockchip flashing tool? Will the “normal” method not work with this image? The “normal” upgrade procedure is valid for updates from the manufacturer, it doesn’t work well or doesn’t work at all with custom firmwares that modify the partition layout as we do. this firmware is great but the main problem is the multitouch………if I keep pressing on both sides of the screen and release one finger the other side remains pressed til I remove both the fingers….plz fix this problem…..or give me instructions on how to fix it….. Some games don’t work when downloading from google play, for example angry birds. Worked like a charm on my 2 new archos arnovas 7 g2 8gb 🙂 muchas gracias!! Sorry, what i want to say is, where can i get the original fw in case it fail? Rockchip will solve it? Sorry for the questions but never done this before. 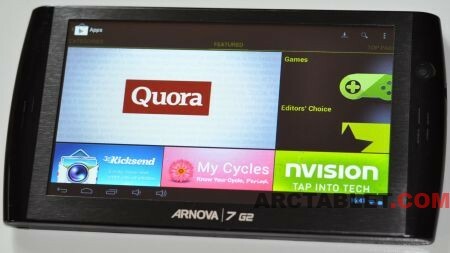 I just ordered an Arnova 7 G2 from Amazon for $88 (+ .80 for a micro usb host converter.) I plan on giving this to my 10 yr old son for Christmas. I own a 7HTv1 and mostly use it for reading. I expect my son to do the same with this one (10+ books a week is what he reads.) I will put the ICS firmware on it! Hope it’s as easy as YAR .28! I upgraded my new 4 GB 7 G2 to Android ICS successfully. I had to use the hardware manager to install the driver (instructions are at the end of the flashing page) on my Windows 7 computer. In order to complete the process (after the flash program was done), I had to reset the tablet and use the AC power cord to get it to turn on (long hold on power switch didn’t work.) I had to do all those things with my 7HTv1 when I put the YAR .28 firmware on it, so I wasn’t surprised. I haven’t tested much other than the wifi (it works.) It’s in the closet until Christmas. Thanks for all the work put into making this firmware update! Charging system doesn’t work consistently. When battery report low charge, I will charge it overnight. Afterwards, it will report 100% charge for 2 minutes then show 5% then die. Other times, it works great. I may put the original firmware back on the device and see if it is a hardware problem. Isn’t there a way to reset/retrain a battery on Android by deleting a file then the next charge re-writes the file? Ce firmware peut-il être installé sur un arnova 7b G2 (écran capacitif) ? Works really well, although the microphone seems to be really (really) quiet. Anyone else with the same ? Hi, exactly one week ago I was given a brand new boxed Arnova 7 G2i, i.e with ICS already installed (had the ICS label on the box). As expected there is no Google Play installed. I would like to confirm that Kasty custom firmware download (version 0.43) is compatible the 7 G2i devices. As far as I can see it should be – I’d get everything I had before plus Google Play and a rooted device. Right? That’s correct, our custom firmware will work on the Arnova 7 G2i, as stated in this guide. 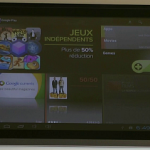 It will add Google Play, root and more space for the applications. I had a slight scare at the beginning because when I tried to boot the device all I got was a blank, black screen for about one minute before anything displayed up on it. Big thanks to the everyone who helped develop / support this. You guys are great! I don’t know of any at the moment, sorry. 2. After drained the battery completely the tablet went to switch off, again we put for the charging that time the tablet not getting on. Once pressed reset button then only it is on. We have faced this issue many times. If possible please find the solution for the above issues. First of all, i would thank you for the firmware, very stable, keep it up. This is my first tablet ever, ever since i came across your website, it just made my tab better and better with all the firmwares that you provide for my 7 g2. ics is the best, very stable, now i’m able to play games, that i couldn’t with my gingerbread. I do have one problem though. Just found out that my multitouch is acting strange. Like when i play pes 2012, the controls are all messed up. When i’m using the directional touch in pes, and press b or a for a pass or a long ball, and release my finger, b or a stays pressed. the only way to bring it back to work is to stop touching the screen ( releasing the directional touch ). The same with heavy gunner, shoot with both guns, and you release one gun, it stay pressed. I hope you know what i mean. I’ve been a huge fan of your wesite ever since i had my G2. Do you mind helping me out ? any tips would be usefull, thank you…. where i can dowload pes 2012?? Unfortunately, this firmware won’t work on the Arnova 7b G2, different hardware. I have a simple question, I have an Arnova 7G2 and wish to update the firmware so I can get Google Play, but my question is If I perform the procedure to do the update, and things go wrong for some reason can I put things back to the original firmware from the Arnova site. Our custom firmware has been tested to work by a few users before we published it and it was verified to work ok. There is also good feedback from others that flashed it. Anyway, if the ICS firmware doesn’t fit your needs you can always flash back the stock firmware from Arnova. As for flashing a firmware, there is still a risk that the device break due to bad flash memory but it’s very very limited. wi-fi lost every 5 minutes. somebody knows why? thanks a ton for providing this 3 cheers . Plz remake this to arnova 10G2… If it really works on 7G2 it should really work on 19G2! Waiting for it! The! Best! Firmware ever!! very nice! and smooth!! sorry for my english im from Guatemala Centro America! !